Congrats to Legacy Ale Works! February 13, 2019: It's been a day that Matt and Liz Jacobs have dreamed about for quite some time. 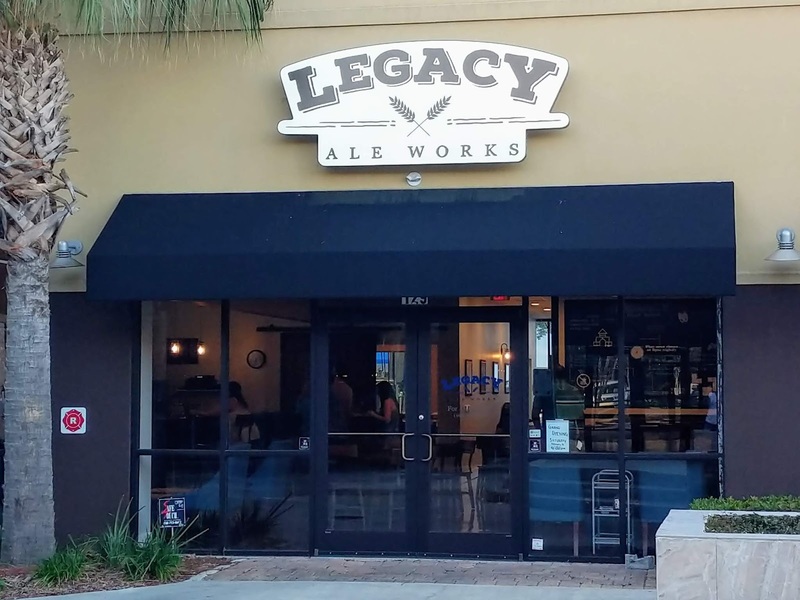 The husband-and-wife team are co-owners of Legacy Ale Works, the newest craft brewery to open in Jacksonville, Florida. 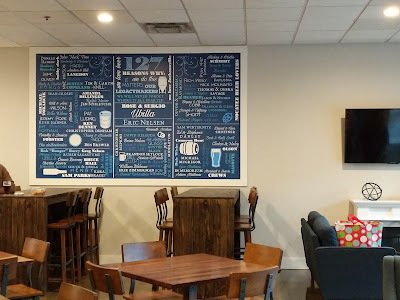 After appearing at beer samplings and beerfests since summer of 2017 and a lengthy search for a place to call home, the brewery and tap room opens to the public with a Grand Opening on Saturday, February 16, 2019, at 4pm. 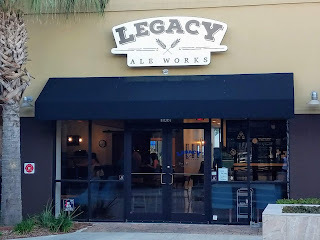 Legacy Ale Works first came onto the Jacksonville beer scene with a beer sampling in July 2017 at local craft shop Beer:30 San Marco after having first appeared earlier at Hogtown Craft Beer Fest in Gainesville. The couple intended to open a family-friendly brewery with a range of beer styles. After an initial property selection in the Mandarin area didn't materialize, they continued their search. 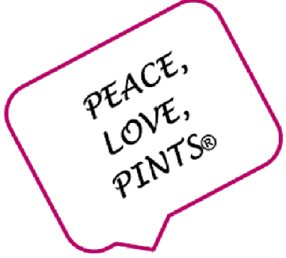 On March 1, they announced their plans to build the neighborhood brewery in the Bartram Park area. Following zoning and permitting approvals which ran through Fall of 2018, construction began, and the countdown to Opening Day was on. 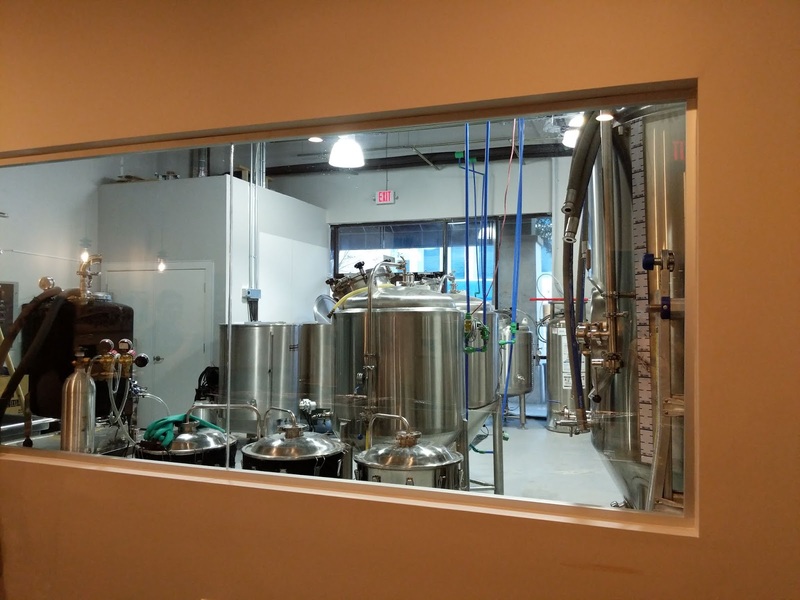 The brewery occupies 3300 square feet, with 2500 of that being tap room space. It's a welcoming atmosphere, and Liz wanted to "incorporate a blend of old and new." The tap room, which has seating for 100, offers plenty of tables and chairs, sofas and plush chairs, a 10-seat bar, and three TVs. 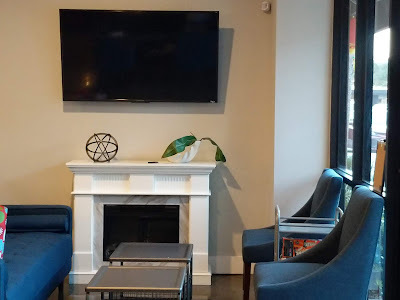 There's even an electric fireplace in the corner for a cozy place to sip on a beer. The decor brings together industrial and modern, with pendant lighting hanging above the bar and along a wall, wooden tables and chairs, a wood base to the bar, and a stainless steel tile bar backsplash. mouthfeel, and sweet, yet roasty flavors. Gets a thumbs up! Much of the fabrication work was done by Matt and Liz themselves with the aid of family members. 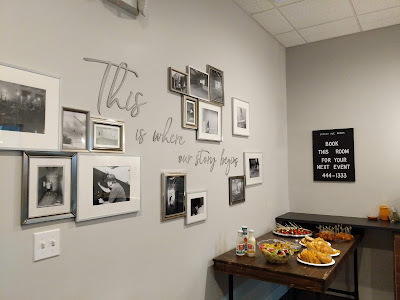 The wood tabletops used for wall adornments were custom made by Liz's father, a woodworker hobbyist, and he also handled the woodwork under the bar top. Liz and Dad also installed the stainless steel backsplash at the bar, and a nephew made the bar tops. 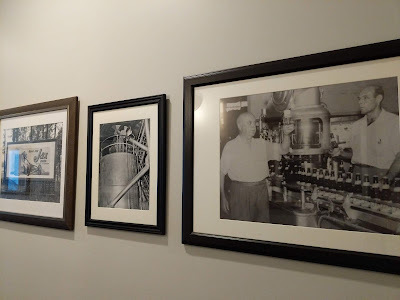 Along the right wall, the brewery pays a unique tribute to its original "Legacy Makers" loyalty members. If you didn't know that beer in Jacksonville had its beginnings with the old Jax Brewing Company, you will when you see the old photos in the hallway leading to the brewhouse. 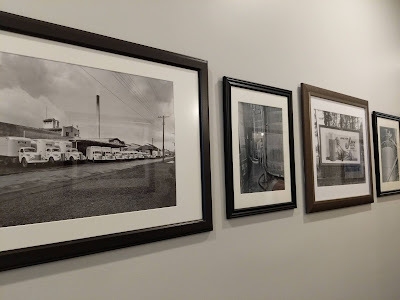 Liz proudly explains that the reproduced photos are in homage to the first brewery in Jacksonville, and were obtained through a descendant of William Ostner, the owner of the former brewery. It's a part of history, as the old Jax Brewing broke ground in Jax on West 16th Street in 1913, and began distribution of its beers in May 1914. Its flagship beer was a Pilsner, and it's been credited as the first brewery to sell beer in a six-pack, circa 1945. Ultimately, Ostner sold the brewery to New Orleans-based Jackson Brewing Company in 1956, and Jax Brewing closed. Liz plans to add information to the wall of photos, explaining the images captured in history. Nice touch! And, this writer even has a few original glasses form the old brewery, too! At the rear of the tap room is a separate 14x16 events space, which can hold around 22 persons comfortably. 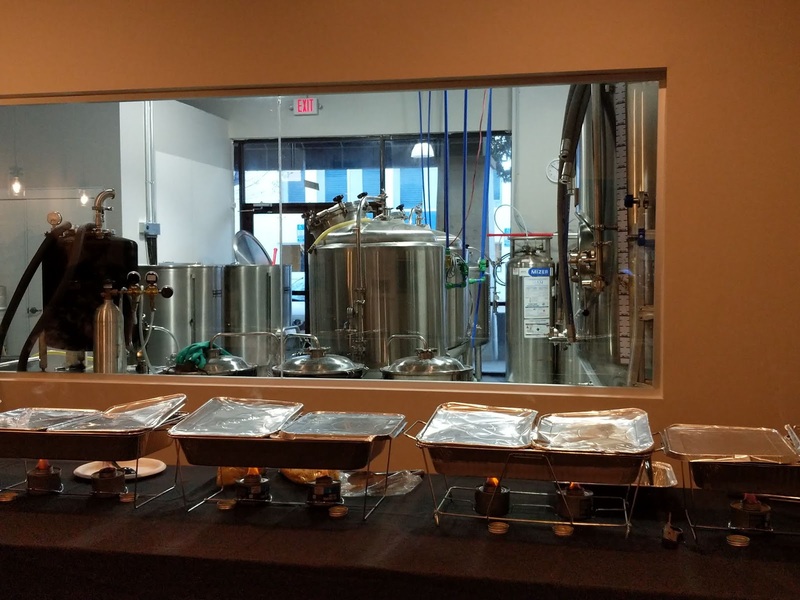 The room is available by reservation for parties and meetings by contacting the brewery. A beverage minimum applies. During the preview night, a delicious array of Italian cuisine was provided by Chef Sarah Copeland of Craft Cuisine Jax (formerly Hottie Dawgs). Look for food and beer pairings between Legacy Ale Works and Craft Cuisine in the future. 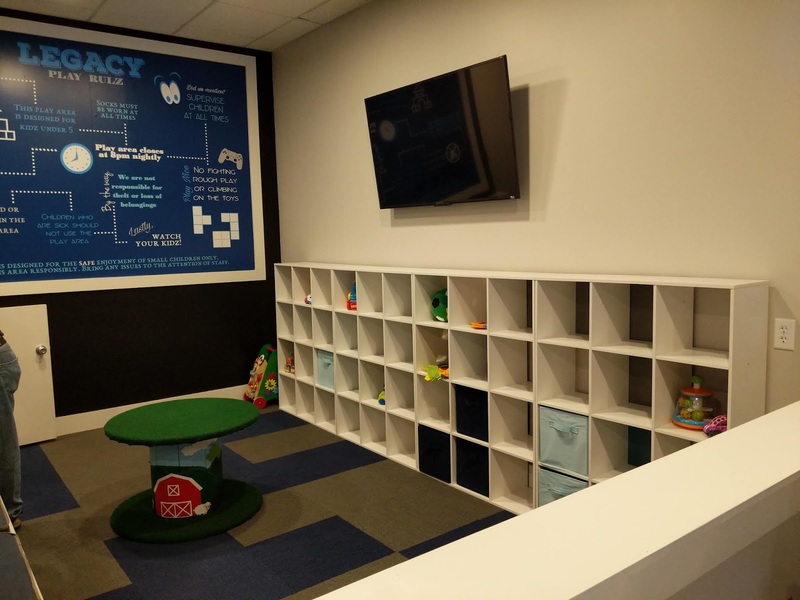 When the events room is not in use for a private event, it will be open space for all to enjoy. 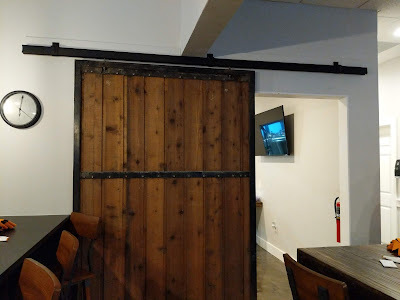 In another example of old and new, and in a beautiful complement, the sliding door to the event room is a reclaimed barn door from the last free-standing barn in Mandarin. But, hey, this is a brewery after all, and yes, there's house beer here! 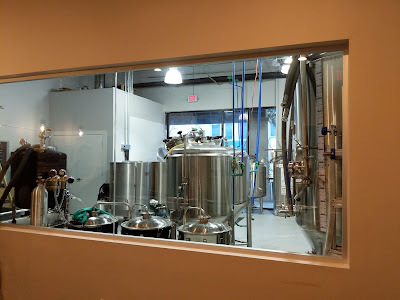 The 3.5-barrel brewhouse system can be seen through the events room window. Now, that's a room with a view! At night, the tanks will have a glow, thanks to underlit LED lighting. 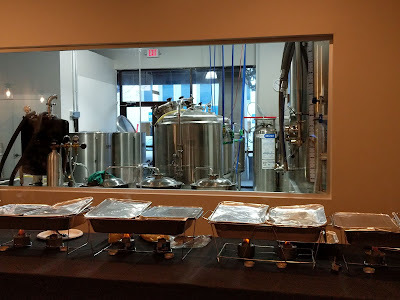 Note the food setup, too, in the events space! 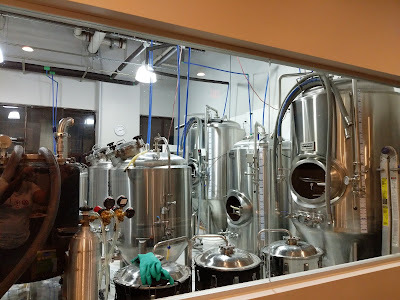 The brewery has two three-barrel fermenters (obtained from Wicked Barley Brewing) and two seven-barrel fermenters, which allow for double batches. One advantage of the three-barrel tanks, added Liz, is that the extra half-barrel allows for experimentation and treatments on a separate one-barrel system for small batches. Sounds like Matt will be pretty busy in the brewhouse! On Grand Opening Day, Saturday, February 16, Legacy Ale Works will offer six house beers and seven guest taps, including cider and hard water. 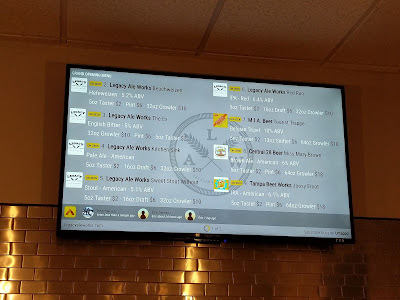 Two menu boards above the bar rotate the beer list. 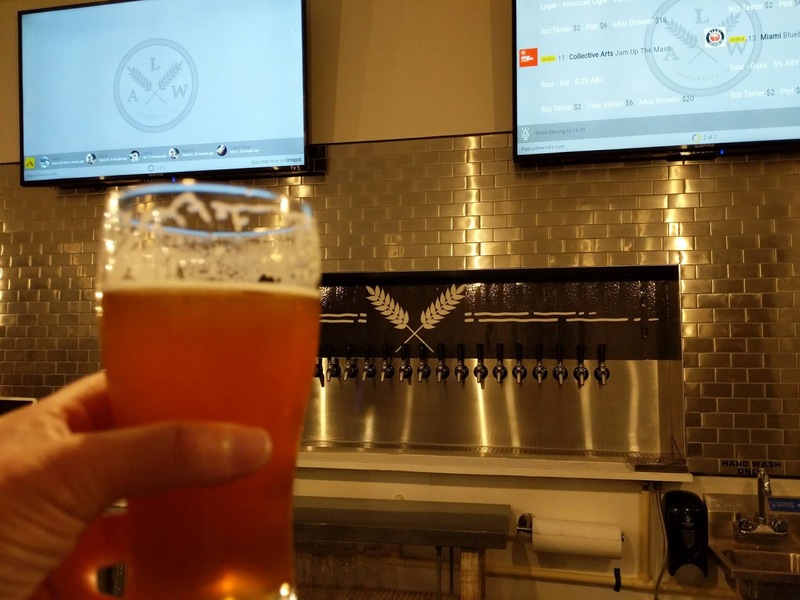 Check-in your beers on the Untappd app? Your check-in will scroll along the bottom. 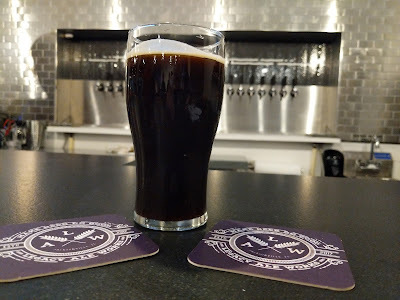 Currently, the house beers on the tap list include: Beachweizen Hefeweizen, The Ex English Bitter, Kitchen Sink Pale Ale, Sweet Stout Without Stout (see above photo), Red Run Red IPA (which some may remember from prior tastings), and a new Belgian IPA. A house 60-Minute IPA is expected to make an appearance also. The Kitchen Sink Pale Ale takes its name from a number of grains and hops "in the mix." It's an easy-drinking pale ale with a flavor profile that's across the board with spicy, herbal, earthy and tropical notes (and others may even find more on their palates!). The bar serves the beer in 5-oz (generally $2) or 16-oz (generally $6) pours, and a flight of four is also available for $8. Want that beer to-go? Get a Crowler. For Matt, brewing on the professional system has been a learning curve, and a step up from homebrewing on a five-gallon system. The first batch brewed in the new brewhouse was the Hefeweizen. More styles will find their way to the taps over time. The plan is to have all 20 taps pouring house beers. 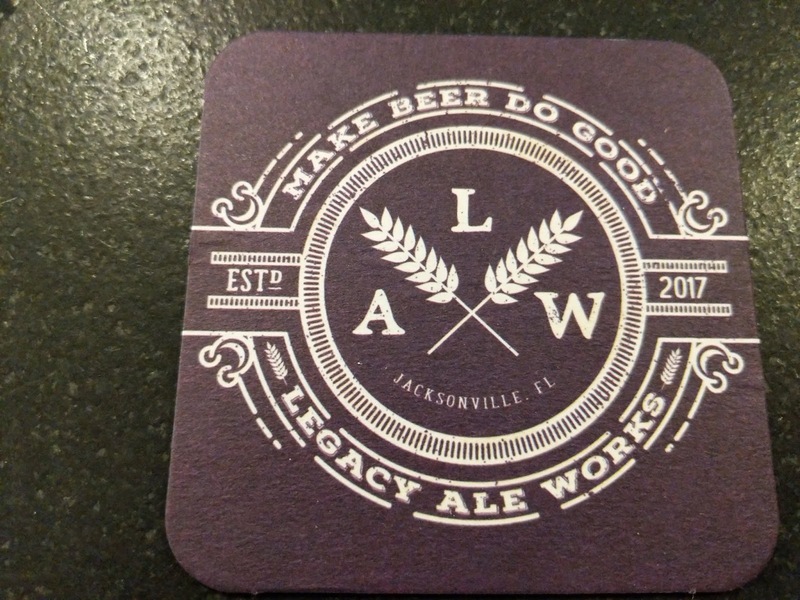 Legacy Ale Works has created an inviting place to enjoy the newest beers in Jacksonville. 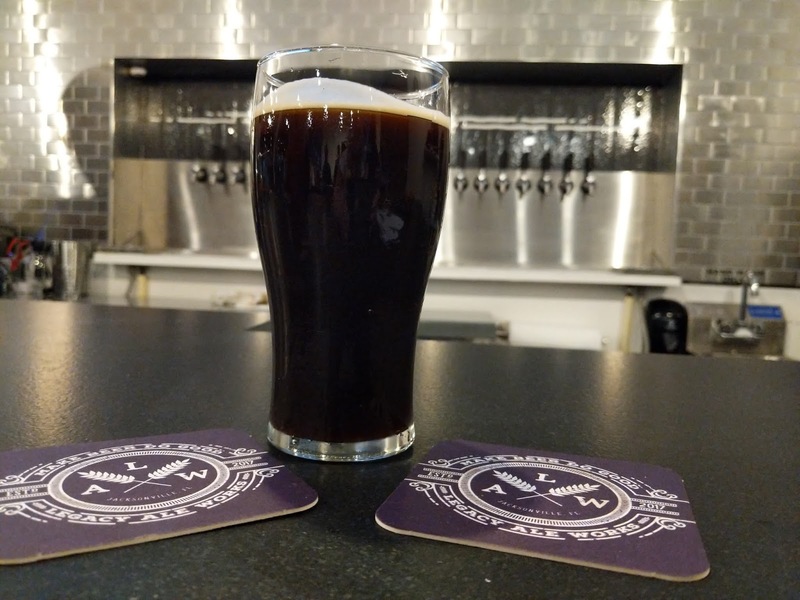 With a varied tap list crafted for tastes from light to dark, the beer crowd will find the entire experience one to repeat. Got kids? There's also a playzone all their own, so parents can have some free time, too! Legacy Ale Works is located at 14965 Old St. Augustine Rd., Suite 129, in the Shoppes of Durbin Creek, at the intersection of Old St. Augustine Rd. 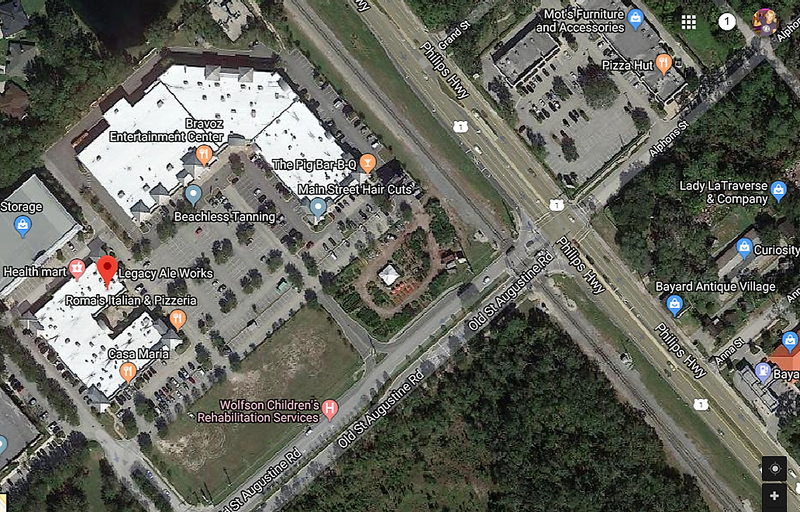 and US 1, in the Bartram Park area. The specific location is in an alcove or courtyard (see above map), just off the front facade. A cool thing about the space is that the brewery will also be able to make use of the outdoor area, and guests will have the option for outside seating at tables and chairs under the blue sky or the stars. 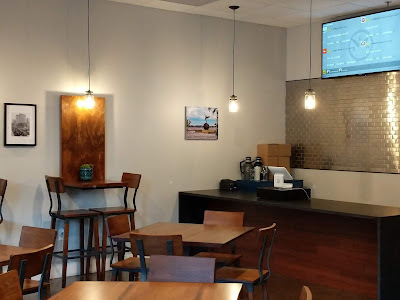 Regular hours following the Grand Opening will be: Tuesday thru Thursday, 3pm-10pm; Friday-Saturday, 1pm-11pm; Sunday, noon-8pm; closed on Mondays. A Family Fun Day is scheduled for Sunday, February 17. 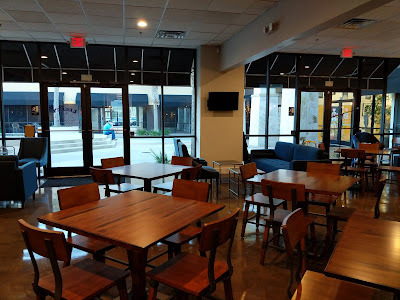 While the tap room does not serve food, a number of local restaurants are in the shopping center. In a few weeks, customers will be able to order food from nearby The Pig BBQ and charge it directly on the bar tab for convenience. 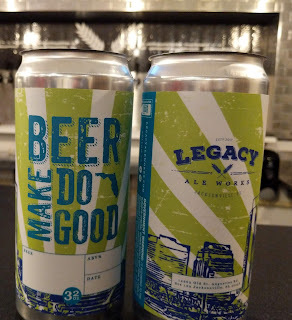 Cheers and Congratulations to Matt, Liz and Legacy Ale Works! Kitchen Sink Pale Ale: aptly named: it's in there! A tasty brew, even if you really can't figure it out! 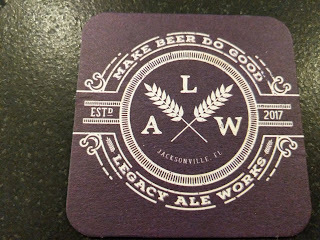 Congrats to Matt, Liz and the crew of Legacy Ale Works for making it happen. The tap room is beautifully designed, and the beers will appeal to everyone. Something tells me that you can expect more to come from the area's newest brewery, so keep an eye on them!